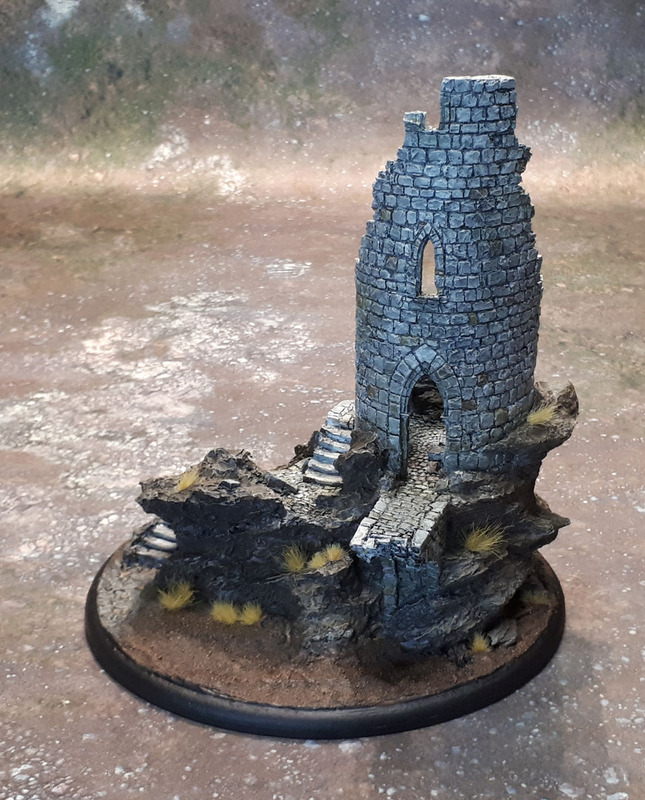 Ruined Watchtower: January Terrain 2019 | Azazel's Bitz Box. 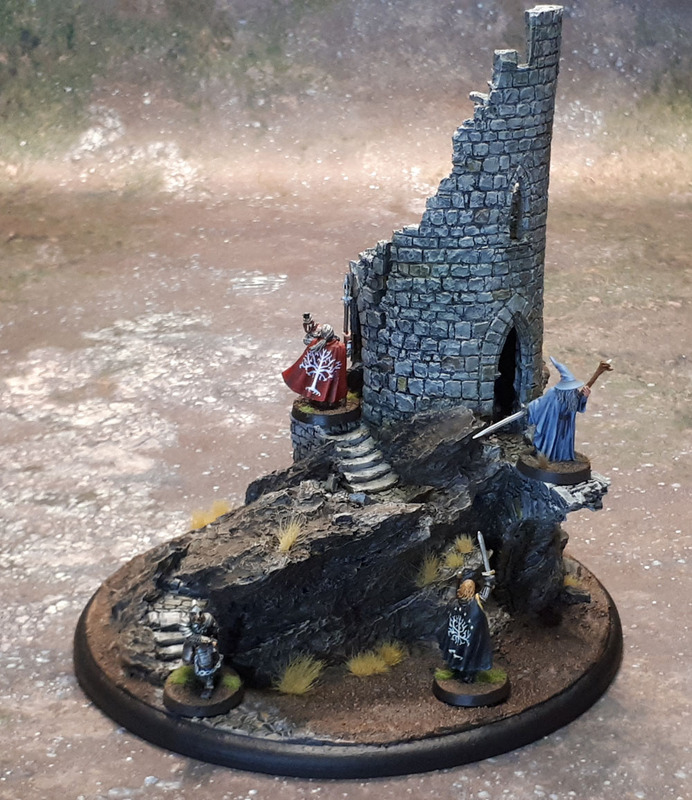 This entry was posted in Age of Sigmar, Fantasy Gaming, Historical Gaming, Monthly Painting Challenges, Wargame Scenery, Warhammer Fantasy - 9th Age and tagged January Terrain '18, Ruined Watchtower. Bookmark the permalink. ← Breaking News: February’s Paint Challenge goes dual-mode. 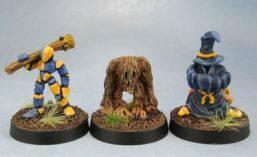 Terrain added to Neglected Models! Yeah, it’s a pretty cool kit. The number of times I dry-fit it together over the past few years with a “yeah, got to get this one done soon!” …so good to finally have it done! Great looking piece mate, it looks a lot like the base piece of a dragon that “cool mini or not sold” I believe it was a limited edition piece so would be very hard to get hold of as an individual piece. Thanks Dave – yeah it does appear to be the exact same base. I can only guess someone wanted the dragon to mount on/around something else besides this tower. I have to say, then even if I were doing the same, I’d keep the tower! Really nice piece. I wonder where it came from then? I had thought it was potentially a historical kit because of the slightly smaller scale, but Dave found its origin! Nice, very cool and worthy of a diorama, or at least a theme song.. https://youtu.be/TLV4_xaYynY. Loved it at the first glance ,I couldn’t think of anyone not desiring one ,and yeah ,second thought was of Dave ,and what he would do with it ! . Yeah, it’s a really nicely sculpted piece. It’d be great to see what he could do with one! You did a lovely job on this! Very evocative. Looks great dude – it’s clearly playable, but I really like that the smart black base also gives the impression of being a diorama. Lovely! I’m glad you didn’t mate – I really like it! Thanks Alex! It looks a lot more substantial then it would have on a thin base, that’s for sure! That’s a really cool standalone terrain piece, as well as a base for a dragon, as Dave pointed out. Shame that it’s a bit too small, but at least Space Marines should look properly tall in it! I love these stand alone display pieces that you can use as a last stand in a fight. Or as a secret HQ for some bandits or a rouge wizard. Great work as usual. Very nice! 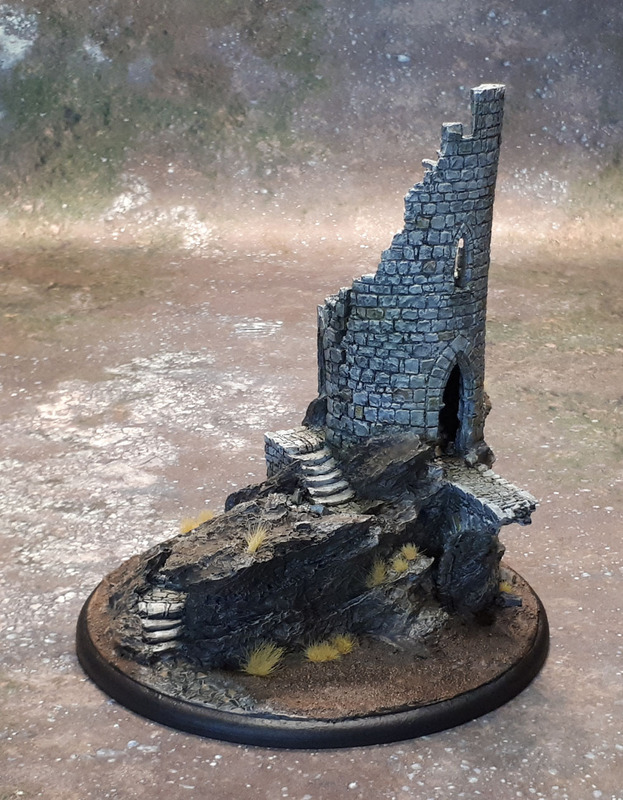 Very atmospheric as well – looks fine on its own, or with minis! Thanks John – yeah, I’m pretty happy with the result on this one. That looks great. Nice tones on the stone work too. Cheers Pete. 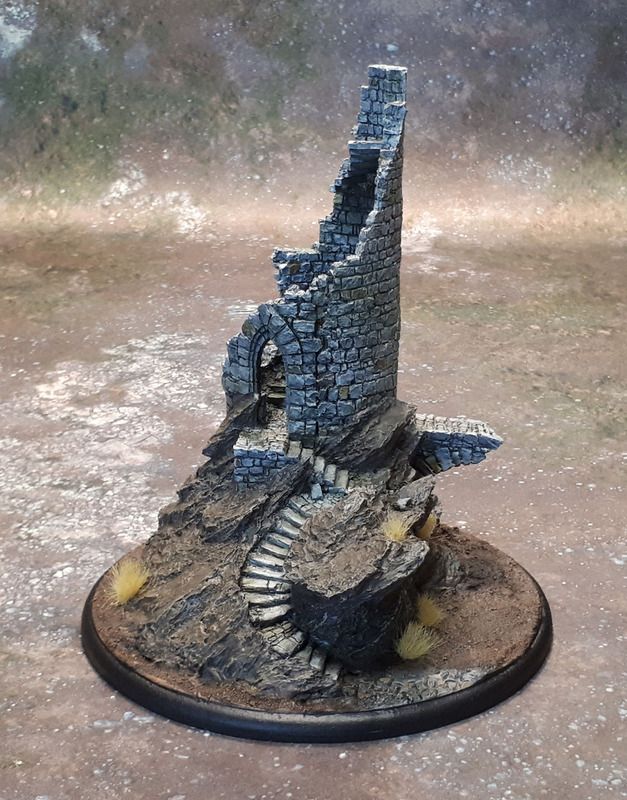 I’m kind of torn at the moment between trying to replicate this on the Warhammer Fortress, or going for the very different kind of look that Model Man Pat came out with on his awesome looking castle. I’d go a little lighter on the bigger piece. That looks great! 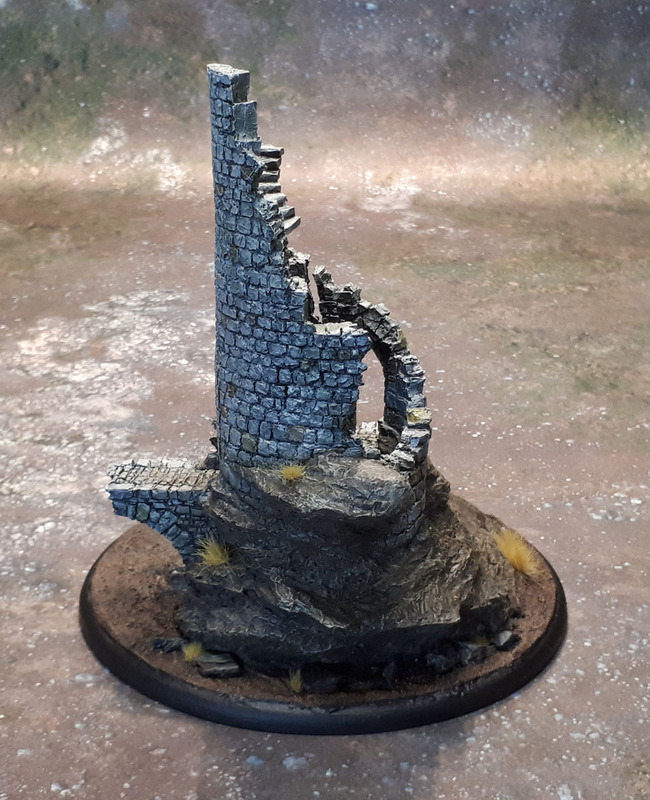 I like the idea of just doing the rim of the base the same way as all your Models. I think a lot of us in this hobby end up sort of training ourselves to not see the rims on bases while looking at Models, and it carries over here. And the wind-bent grass was actually noticeable, at least to me. But I’ve lived in a few areas with very strong prevailing winds, so maybe I’m a bit more attuned to that sort of thing than others. Thanks Alexis – good to see that it actually comes across on the model. The grass is certainly a subtle touch – probably something that would stand out more if I messed it up than got it right, I guess! I reckon you’re right on the base as well. 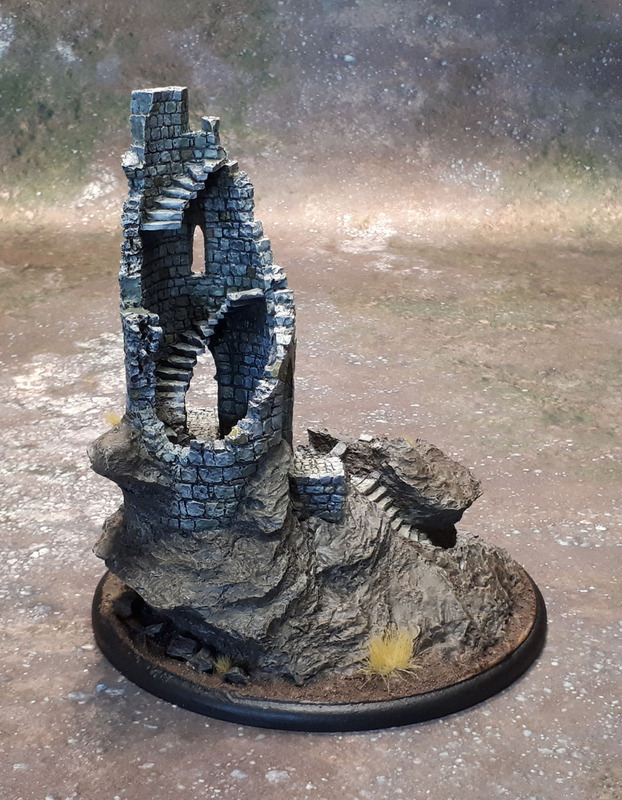 I’ve got a couple of other (unfinished) terrain pieces that I’ll be mounting on similar bases, though I plan to integrate those a little more into the “game” space. Looks really cool. Nice work. Yep, for sure. I reckon it’ll look fine for others as they fight *around* it, and the size difference won’t stand out so much. Maybe it’s fine for 40k. I’ve seen some of those ancient (by Australian standards) pubs in the UK that are still operating after hundreds and hundreds of years with the tiny entrances because people were shorter then, so it probably still works for Imperial Guard! Excellent. 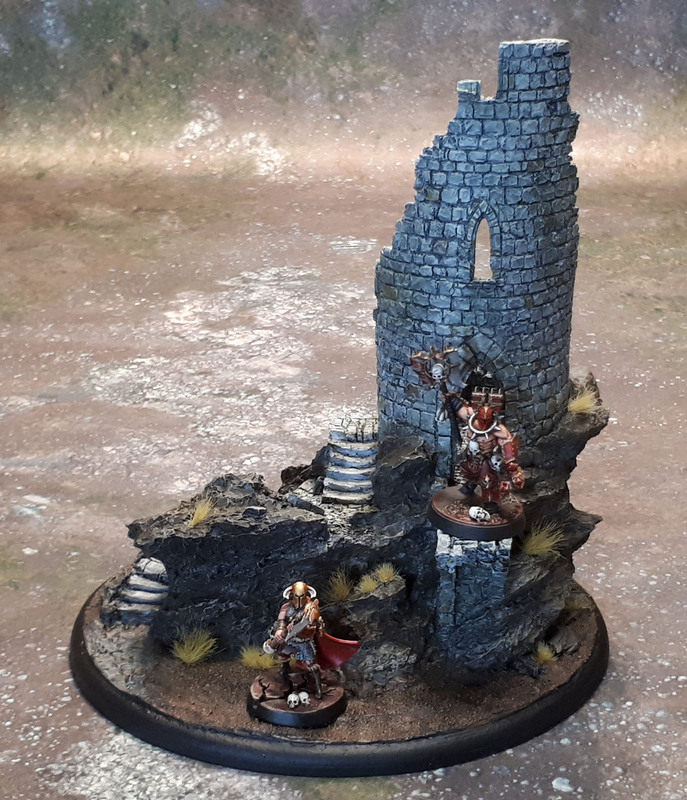 I do enjoy GW’s wildly over-the-top terrain pieces with all their giant skulls etc but it’s actually really refreshing to see something that looks as though it could have been lifted from the real world and would fit into any fantasy setting, but which still looks incredibly dramatic and lends itself to the setting of a story. Agreed. I do like these more realistic pieces a lot more than Skully McSkullface which is where GW has gone with everything. Those Shardwrack Spines are full of skulls tangled in their roots which I only noticed while painting them. Luckily they’re pretty well hidden in those sculpts, so I chose to ignore them rather than highlight them, so you don’t even see that they’re there. Forget Gandalf – where’s Sean Connery battling the Kurgan? ?